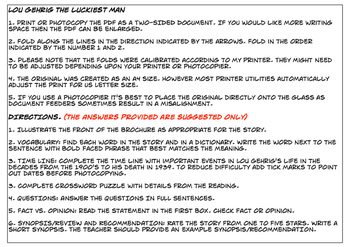 This is a double-sided worksheet for Lou Gehrig The Luckiest Man that is tri-folded into a pamphlet. 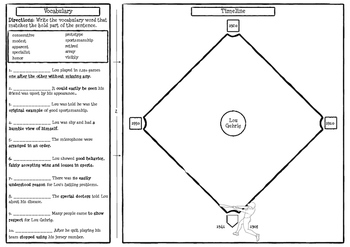 It includes an illustration section, three comprehension questions, a fact vs. opinion activity, a vocabulary practice (10 words), and a make a baseball field timeline or a crossword puzzle (according to teacher preference). 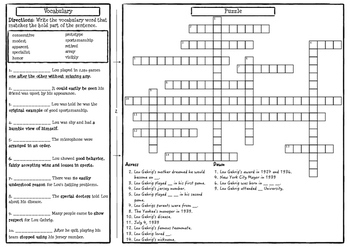 An instruction page and suggested answer key are included. The preview provides a complete overview so please download it. 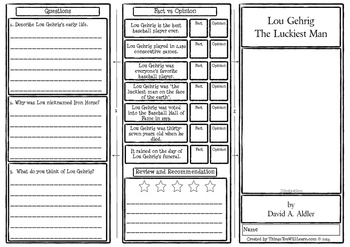 Lou Gehrig The Luckiest Man Comprehension Pamphlett by Michael Allen Kelly is licensed under a Creative Commons Attribution-NonCommercial-NoDerivatives 4.0 International License.